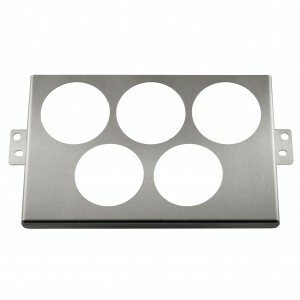 MK2/MK2.5 2DIN brushed stainless steel panel which offer place for positioning 5 standard 52mm gauges. 3 at the upper part of the panel and 2 of the bottom part. Please note, this panel would not work with the bezels of gauges as AFM with very wide bezels as of the width of the cutout.